V20 Ministers of Finance will convene in Bali, Indonesia for the V20 Ministerial Dialogue V and related preparatory events during 10–14 October 2018. The meeting advances the work program of the V20 initiative, under the new V20 president, Marshall Islands, will serve as a preparatory event for the 2018 Climate Vulnerable Forum Virtual Summit, and will resume high level dialogue between the V20 and G20. The V20 serves as a dedicated and regular high-level forum of exchange and action led by the Ministers of Finance of economies systemically vulnerable to climate change. V20 Ministerial Dialogue V and 2nd V20 Dialogue High-Level Representatives of the G20): 9:00am – 10:30am on Sunday October 14 in Pecatu, Ground floor in BNDCC2 (Bali Nusa Dua Convention Center 2) (open to select observers). V20 Deputies/Senior Officials Meeting: 09:00am – 10:30am on Saturday, October 13 in Bougainville/Orchid, 1st floor, Westin Resort (closed meeting). V20 Working Group (V20 Focus Groups IV and 1st V20 Joint Technical Committee Meeting): 12:00pm – 2:00pm on Wednesday, 10 October 2018 in Uluwatu 5 Room – BNDC (closed meeting). 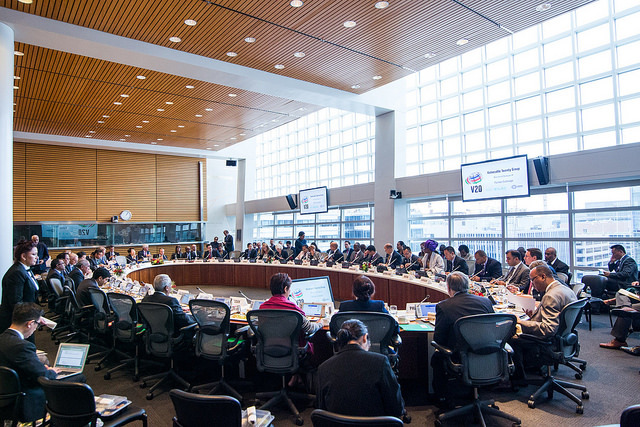 Participation in the fourth V20 Ministerial Dialogue is by invitation only and subject to registration for the World Bank and IMF Fall Meetings. Accredited media will be invited to attend a segment of the meeting. Photo caption: 2018 IMF / World Bank Group Annual Meetings at Bali Indonesia, October 2018 (licence: CC BY-NC-ND 2.0) Photo Credit: World Bank. The V20 countries are both the world’s most vulnerable economies and the most promising ones in terms of growth potential. That potential, along with our and other countries’ very existence, is threatened by climate change. Faced with this challenge and a tremendous urgency for climate action, all financial flows, including those of multilateral development banks, should be aligned with the Paris Agreement, the 1.5 degrees Celsius temperature limit, and our members economies’ 100% renewable energy vision in support of sustainable development. Insufficient resources for climate protection will only create economic instability. Investing in climate action, by contrast, is critical to inclusive development, job security and economic growth. This is an opportunity not just for the V20 economies but for the global economy as well. The V20-G20 dialogue, initiated today, is an important engagement tool in that regard; one that highlights how climate action is mutually beneficial to different economies. We need to pursue and deepen this engagement with a spirit of international partnership along commonly held goals. It is time to act strategically to advance truly transformational programs that redesign nothing less than the investment agenda of the world economy. We welcomed and confirmed five new V20 members and designated the Marshall Islands as the future Group Chair from October 2018. Towards the realization of the V20 Action Plan, members have begun efforts to mobilize a significantly higher level of financial resources for member climate action by 2020, commencing with a first Regional Consultation for the Asia-Pacific, held at Manila, Philippines on 8-10 March 2017. Further consultation efforts are planned, including the V20 Regional Consultations for the Caribbean and Latin America (July 2017) and Africa and the Middle East (September 2017). We have decided to establish a Task Force of independent experts to assess the financial requirements for climate action consistent with the Paris Agreement, with a view of delivering maximal resilience and low carbon development consistent with the 1.5 Celsius limit. The V20 Focus Groups on Advocacy and Partnerships, Climate Accounting and Risk convened in November 2016 at Marrakech, Morocco and in March 2017 at Manila, Philippines. 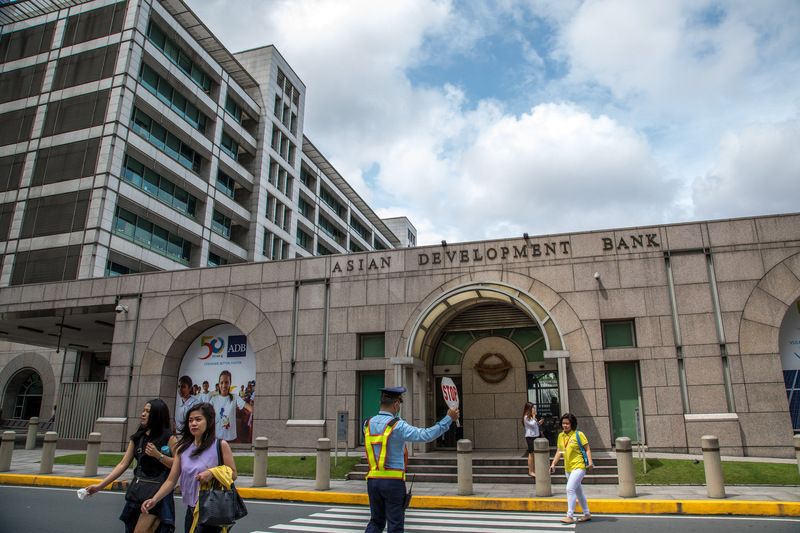 We thank the Asian Development Bank, the United Nations Development Programme and the World Bank Group for its involvement in the V20 Regional Consultations to-date and encourage broad cooperation with Regional Multilateral Development Banks in the V20 Action Plan. Further to the 2017 V20 Disaster Risk Financing Workshops, we request the World Bank to provide V20 members with capacity building and financial support to develop their institutional capacity as a part of their broader fiscal risk management agenda and to provide financial and technical support to implement the activities of the V20 Focus Group on Risk. We endorsed the Framework Document for the Global Preparedness Partnership, and resolved to form a sub-committee to oversee its operationalization together with key partners. V20 Members continue to pursue ambitious climate action and to pioneer innovation in climate change financing with leading global examples in renewable energy access, ecosystem services and micro-insurance solutions that have changed lives and expanded sustainability at scale. We urge the G20 countries to deliver their long-term low-emissions development strategies before 2020, and call on them to deliver ambitious climate change action as part of the G20 outcome in July. Pulling resources from climate protection will create economic instability. Investing in climate action is necessary and critical to inclusive development and economic growth. In a significant step, we have resolved to establish a technical committee to develop multi-country financing initiatives towards the advancement the V20 Action Plan and its aim of attaining a significant increase in climate investment in V20 countries through the member driven application of financial innovations in collaboration with our wide-ranging partners while leveraging finance in all its forms. Challenges and difficulties in accessing international climate change finance persist and continue to hold back the realization of national climate actions in vulnerable developing countries. Delivering the Paris Agreement will require financial flows to increase in both scale and predictability. We welcome the Roadmap presented by developed countries outlining a pathway to achieving their $100 billion per year joint climate finance mobilization target, which is the collective responsibility of all the developed countries to deliver on. We look forward to further clarification on the extent to which the Roadmap’s contributions will provide new and additional resources. We emphasize the criticality of the $100 billion commitment and the need to significantly upscale concessional financial means via Multilateral Development Banks for achieving transformational change in line with the Paris Agreement and its objective of limiting warming to no more than, if not well below, 1.5 Celsius. We reaffirm the need to increase prioritization of adaptation finance to ensure a 50:50 balance of finance for adaptation and mitigation by 2020, calling for continued scaling up of financial support in a balanced manner. We welcome those developed countries that have already achieved, or are nearly at, a 50:50 balance in their international climate change finance contributions between adaptation and mitigation. Today, these countries include Belgium, Germany, Ireland, Netherlands, Sweden and Switzerland, but we believe more can join them and we will celebrate those who do. We welcome the recommendations from the Financial Stability Board Task Force on Climate-related Financial Disclosures, while highlighting that the compatibility with the 1.5 Celsius limit should be an integral part of what these disclosures address. We reaffirm the V20’s interest to engage in discussion and collaborate towards the effective implementation of the Task Force recommendations, as well as to work with UNEP Inquiry to further study the development policy implications of green finance and the Task Force’s recommendations. We call for market distorting fossil fuel production subsidies to be removed immediately and no later than 2020, and urge the G20 to set such a clear timeframe for fossil fuel subsidy elimination. Fossil fuel consumption subsidies need to be checked rigorously whether they provide an actual benefit to the poor, and subsequently should be replaced worldwide without harm to those relying on them for their basic energy needs. We call on the G20 to lead with the V20 in a drive towards ensuring all emissions are subjected to carbon pricing. Further to the V20 commitment to work to put in place carbon pricing mechanisms by 2025, we highlight the progress made by a number of members towards this end, and call for additional support from International Financial Institutions to assist the efforts of members in this respect. We agreed to continue to expand the dialogue with the G20 and our advocacy with international financial institutions. 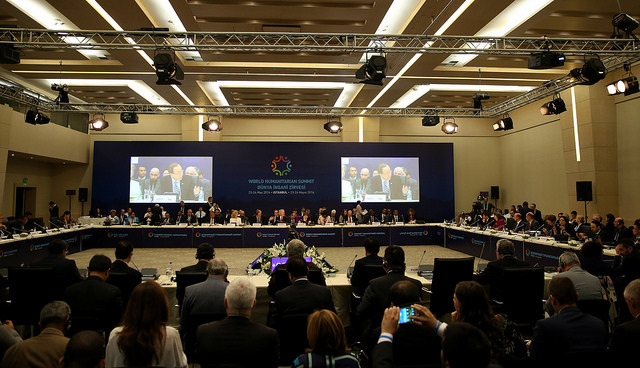 We shall reconvene in an expanded format in October 2017 in conjunction with the Annual Meetings of the International Monetary Fund and World Bank Group and will assure the economic and financial preparation of the 2018 Summit of the member states of the Climate Vulnerable Forum in conjunction with relevant government and other partners. Representatives of the V20 finance ministries from across the Asia-Pacific Region will convene in Manila from 8-10 March in the first of three Regional Consultations the Group plans to hold in 2017. The 2017 V20 Regional Consultations provide an opportunity for V20 Members to share knowledge, strengthen external engagement and incubate innovative initiatives building on national climate finance experiences. The Consultations will inform the V20’s Ministerial Dialogues and are central to the Group’s Implementation Work Plan and objective of fostering increased investment in climate resiliency and low emissions development in member economies by 2020. Each Regional Consultation brings together senior officials from V20 ministries of finance, international and regional development banks, international organizations, and other stakeholder groups. The event is being held in conjunction with meetings of the V20’s Focus Group Co-Chairs on the topics of advocacy and partnerships, climate accounting, and risk. A workshop on financial protection against climate and disaster risks will also take place during the Manila V20 regional conference as co-organized co-organized with the Disaster Risk Finance and Insurance Program, which is a joint program of the World Bank Group and the Global Facility for Disaster Reduction and Recovery (GFDRR), together with the Asian Development Bank. The workshop will provide an overview of the different financial protection instruments available to manage climate disaster risks and showcase case studies on disaster risk financing from across the globe. After the paradigm-shifting year of 2015, with the Agenda 2030 and the Paris Agreement, it is now time for the G20 economies to put their money and action where their mouth is: to limit global warming to 1.5° requires immediate action everywhere. The survival of the most vulnerable countries depends on it. As a group of 43 vulnerable countries, the V20 under the leadership of Ethiopia is willing to act at home, reducing emissions, investing in resilience and putting a price on carbon. However, we also need the world’s largest and most powerful countries to continue their effort. They can do that by scaling up financial support and improving the accessibility and predictability of international finance for both climate change activities and development assistance. Developed countries’ financial contributions must significantly increase to Funds that are established to support the concrete adaptation and urgent and immediate needs of developing countries such as the Least Developed Countries Funds (LDCF) and the Adaptation Fund, which are focusing on the most vulnerable, and the Green Climate Fund. This would better equip the developing countries who face financial hurdles to implement their NDCs and countries to collectively achieve the sustainable development goals (SDGs). The German G7 presidency has shown great leadership and played a vital role in putting the need to decarbonize the global economy on the global agenda. Now all eyes rest on Angela Merkel who can show the same leadership during the upcoming German G20 presidency. For vulnerable countries, the 1.5°C limit is a matter of survival. To hold global warming below that threshold, immediate and swift action by the major polluters is needed. It is of utmost importance that the G20 nations, who are responsible for approximately 85% of global CO2 emissions, develop long-term low greenhouse gas development strategies, as soon as possible, to guide a shift of investment from brown to green and avoid a dangerous and costly lock-in. With its own 2050 climate protection plan, Germany has shown the world how such strategies could be developed. Even if the plan will need further strengthening to be compatible with the 1.5°C limit, it provides an important signal to the global community and to companies and investors that Germany is serious about the path to decarbonization. Next year, Chancellor Merkel now should convince as many of her G20 partners as possible to develop and submit their national 2050 strategies by 2018, in order to inform the global stock take and enable a lifting up of ambitions. Similarly, businesses need to develop decarbonisation plans, and should undergo stress-testing showing how well they are equipped for a 1.5°-world, and the policies leading towards it. Infrastructure is vital for sustainable development. There is a huge gap in financing infrastructure in both developing and industrialized countries. The world’s energy and transport infrastructure, but also buildings sector has to be developed in a sustainable, climate resilient manner in order to minimize damages from climate change and provide important services to all people without adding more and more emissions. 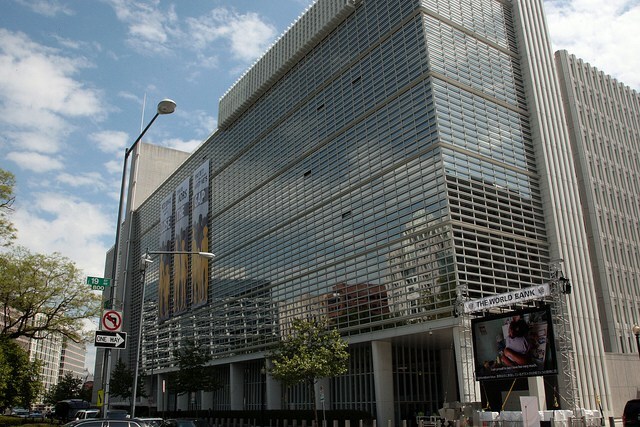 Investments by international financial institutions and multilateral development banks need to be aligned with the 1.5°C limit – criteria need to be developed and applied that fosters green investments and also stops public money from flowing into old technologies that harm the climate when green opportunities for growth and resilience are available. It is hard for green technologies to compete in a marketplace where climate finance is marginal and subsidies for fossil fuels are hundreds of billions of dollars a year. We need to change that for the green economy to thrive. Carbon pricing mechanisms are one effective way of shifting the market dynamics to work for the green economy by forcing market actors to account for climate externalities not currently affecting corporate decision-making. Such tools could provide revenues that could be used for investments in low-carbon, climate resilient infrastructure both domestically and, for example through a share-of-proceeds approach for financing much-needed sustainable infrastructure in developing countries. However, the vulnerable countries are going to require significant assistance in capacity and institution building support in order to effectively put in place such market-based tools. It would also make great sense to invest in our South South cooperation so that those vulnerable developing countries that are already making heawdway on such topics, can help the others among us who are just starting out with such initiatives. The 20 billion yuan ($3 billion US) contribution of China to support South South to support climate change adaptation and low carbon efforts of developing countries is a vital contribution that other G20 economies can help to complement. Germany has already announced there will be a particular focus on Africa during its presidency. 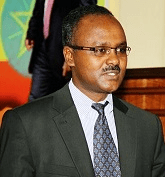 This is welcome as our continent is particularly vulnerable to the impacts of climate change. We would like to offer a partnership to Germany and its G20 countries to help insure the most vulnerable countries against climate change and to rapidly develop renewable energy in vulnerable countries around the world and across Africa. Under its G7 presidency, Germany has announced support both for climate insurance mechanisms (InsuResilience) and for renewable energy in Africa. The G20 presidency is an opportunity to further develop and grow theses initiatives and make sure they benefit first and foremost the poorest and most vulnerable. We stand ready to discuss these issues with the G20 presidency just as we are moving to invest the resources at our disposal towards advancing climate-resilient and renewable-powered development. We would encourage the German G20 presidency to start a formal G20-V20 dialogue where we can work on these pressing issues together in the spirit of cooperation. What: The first meetings of the V20 Focus Groups on Climate Accounting, Advocacy and Partnerships, and Risk (Pooling) that were established in the 2nd V20 Ministerial Communique in April 2016.